Whether a professional tradesman or an occassional DIY'er, we have a huge range of power tools to suit your requirements from DeWalt, Bosch, Black and Decker, Makita, Clarke, Ryobi and many more. We carry a range of power drills and cordless drills as well as drill drivers and woodworking power tools. 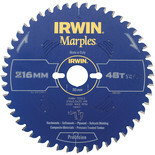 Our range of saws include circular, reciprocating, as well as mitre and jigsaws. 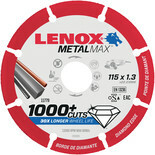 We also stock power planers, sanders and angle grinders. Our power tool range includes routers, heat guns and electric tile cutters. In addition we supply the accessories and consumables to get the best results from your power tool, such as drill bits, router bits, saw blades, augers, sanding sheets, grinding discs etc. As well as power drills, angle grinders and other power tools, Machine Mart provides a huge range of equipment and tools suitable for everybody from DIY enthusiasts to professional tradesmen. Choose from all the top brands including Clarke, Bosch, Dewalt and Ryobi. You can buy online now, order by phone, or visit any of our superstores across the country. We offer a huge range of tools at competitive prices.